The Utah Flash has failed. The NBA Development League confirmed Saturday that the Flash is for sale and will go on hiatus for the 2011-12 season. 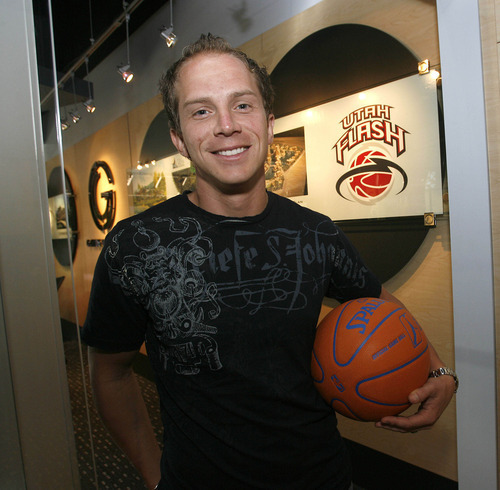 The Orem-based Flash is the NBADL affiliate of the Utah Jazz and Atlanta Hawks. 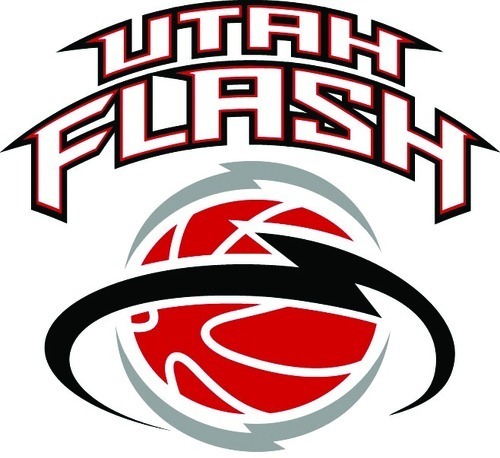 "We thank [Flash owner] Brandt Andersen, the organization, and the Utah Flash fans for all of their support of the team over the past four years, and are actively working with the team to find new ownership," NBADL president Dan Reed said. A Jazz spokesman said the organization has no interest in purchasing the Flash, while Jazz general manager Kevin O'Connor had no comment. "We have enjoyed the relationship with Brandt Andersen and the Flash organization," Jazz President Randy Rigby said. "In the event they choose to sell the team, we are committed to work with the new owners in a similar manner." Attempts to reach Andersen and Flash President Drew Sellers were unsuccessful. The NBADL issued a prepared statement from Andersen. "After much thought and consideration, I have decided to sell my interest in the Utah Flash to focus on my other businesses," Andersen said. "While I conduct this search the team will go on hiatus for the 2011-12 season. "I have enjoyed the experience and thank all who have worked for the organization, played for the team, and attended Flash games over the past four years. I am grateful to the NBA and believe the NBA D-League is a great league with a very bright future." A last-minute buyer for the Flash could postpone the expected hiatus. Investors have shown interest in purchasing the organization, and one group met with the team as recently as last week. However, a deal must be in place by June 30 for there to be any hope of the franchise playing basketball next season. Flash coach Kevin Young said he was disappointed in the planned sale. As a first-year coach, Young guided the Flash last season to a 28-22 record and a playoff appearance. Young is considered to be one of the premier up-and-coming coaches in the D-League, but he is now without a job. "If [the sale] does happen, it's unfortunate," Young said. "We had a good thing going. But [the owner has] a lot of other business things going that are on the forefront, so I totally understand." Sellers was asked May 10 if there was any danger of the team relocating or any other major changes on the horizon. He said there were none to his knowledge. Sellers also asserted that ownership under Andersen remained strong. "Minor league sports is definitely a tough business," Sellers said in May. "And every year after every season you have to evaluate how you're doing and whether or not it's financially viable. But with the support of Utah County, I think if we continue to work hard I think the team would be happy to be here for a long time." The Jazz used the D-League three times last season. Marcus Cousin and Kyle Weaver were added to the Jazz's roster from the Austin Toros, while Jeremy Evans played two games with the Flash. The Hawks sent 2010 second-round pick Pape Sy to the Flash. Atlanta GM Rick Sund was caught off-guard when asked about the planned sale. "First I have heard about it," Sund said. The Flash played the majority of their home games at the Utah Community Credit Union Center in Orem. While the franchise struggled to turn a profit, it ranked second in NBADL attendance last season, drawing more than 100,000 fans and averaging 4,237 per game. Andersen increasingly became an absentee owner, though. He attended home games last season, but his interest in maintaining ownership of the Flash decreased after he moved to California to explore other business options. The Flash originated in 2007, and initially held close ties with the Jazz. Ex-Flash coach Brad Jones was former Jazz coach Jerry Sloan's nephew. Jazz head scout David Fredman previously served as the Flash's general manager, while Jazz players such as Kosta Koufos and Kyrylo Fesenko spent time in Orem. "[The Jazz] set it up to be a successful relationship because they took us and the D-League seriously," Jones said in May. Communication between the Jazz and Flash took a hit when Jones  now coach for the D-League's Toros  was replaced last August by Young. But the biggest break was one that built over the long term. Andersen began with grand ambitions, drawing inspiration from former Jazz owner Larry Miller and aiming to turn ownership of the Flash eventually into possession of an NBA franchise. The Flash never cracked the Salt Lake County market, though, and the team was forced to rely on Utah County for ticket sales and sponsorship as it was unable to operate outside of the Jazz's shadow. Cost-cutting moves also alienated key early supporters, while Sellers was promoted from a public relations employee to president. Now, the Flash will be known more for its sudden sale and overall failure than its professional partnership with the Jazz. And the Flash's largest impact on the national sports scene will go down as a much-criticized hoax. Andersen concocted a scheme in December 2009 that was supposed to result in a charity faceoff between Chicago guard Michael Jordan and ex-Jazz guard Byron Russell during halftime of a Flash game in Orem. After heavily promoting the reunion  Jordan's jump shot over Russell during Game 6 of the 1998 NBA Finals gave the Bulls a 4-2 series win against the Jazz  and selling more than 7,500 tickets to the event, a Jordan lookalike took the court instead of the Hall of Fame legend. The crowd responded with boos and walkouts, and Andersen eventually refunded ticket purchases. "We're the first ones to say it was not in good taste in the end," Andersen said in 2009. "It just kind of blew up in our faces." Despite the Flash's folding, the D-League continues to gain traction. The league recorded more than 1 million attendees for the second consecutive season, and will still operate next season if there is an NBA lockout. Steve Luhm and The Associated Press contributed to this report.